the greater St. Louis, MO area and the entire Metro East region. Since 1967, Chesley Fence & Deck has been among the most trusted fence installation and deck building companies in the greater St. Louis, MO, area and the entire Metro East region. This is largely due to the fact that we are committed to providing our customers with the greatest value for their investment by installing premium products with superior craftsmanship. We also offer a range of building materials, allowing our customers to select the option that best suits their unique tastes and budgets. For example, if you’d like a top-of-the-line deck to get more use out of your outdoor space, choose our Tamko EverGrain® Envision® PVC coated composite decking. This product offers an unbeatable value, as it is incredibly durable, low maintenance, and resistant to staining, fading, and mold and mildew growth. Or, if you’d like a more cost-effective option, we offer treated lumber and cedar wood deck options, both of which are highly affordable and of the finest quality materials in their category. Chesley Fence & Deck also offers a variety of fences to meet the budget and needs of virtually any homeowner in the greater St. Louis, MO, area and the entire Metro East region. We install some of the most durable fencing products available anywhere, including our American-made vinyl fencing. This low-maintenance fencing only requires an occasional rinse with soapy water in order to keep looking great year after year, despite continual exposure to the elements. 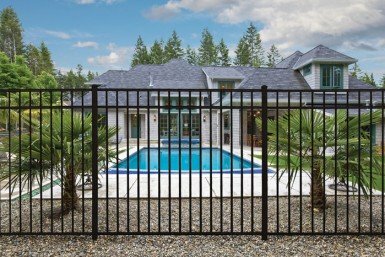 Or, if you’d prefer a visually stunning product that has no visible rivets or screws, you can choose from our numerous ornamental aluminum fence styles. For homeowners who are in the market for a low-cost but high quality option, a wood fence made from premium cedar that resists warping and cracking may be your best choice. 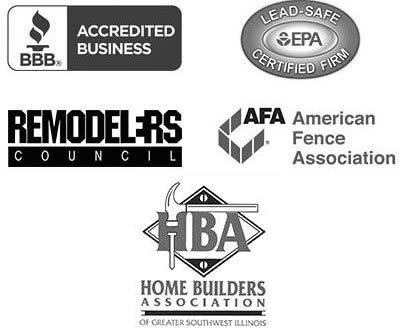 Our commitment to bringing our customers top-notch decking and fencing products that fit their budgets is only one of the reasons we maintain an A+ rating with the Better Business Bureau. In addition to offering the finest quality fences and decks to homeowners in the greater St. Louis, MO, area and the entire Metro East region, Chesley Fence & Deck also offers unsurpassed customer service. In fact, we have earned the trust of countless homeowners in the region by always treating every customer we serve with the utmost respect, and if there is ever a problem with the finished result, our staff is available to address the concern immediately. What’s more, we understand that each customer has unique reasons for wanting a new deck or fence. As the area’s premier deck builder and fence Installation company, all of the projects we take on are custom-designed to meet the exact requirements of the homeowners we serve. Our team of highly experienced technicians perform precise installations, ensuring our customers receive all the benefits that our premium products have to offer. So, whether you’d like a highly affordable wood deck that’s large enough to host family gatherings, ornamental fencing that is beautiful and will keep your pets from getting out of the yard, or any other fencing or decking solution, we are the company to call. 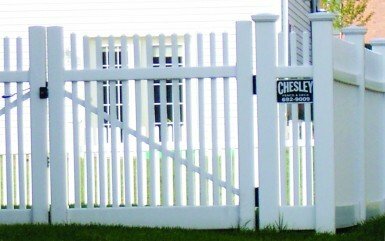 Unlike many of our competitors, Chesley Fence & Deck backs our work with a three-year labor warranty, in addition to any manufacturer warranties. We also offer financing to make our competitively priced products even more affordable. To learn more about the many benefits of the fence and decking solutions we provide for homeowners in the greater St. Louis, MO, area and the entire Metro East region, contact us today.